There is a lot to see and do in both Penticton and Naramata! For starters, there are fabulous beaches at the city’s north and south ends. You can spend whole days sunbathing, swimming, jet skiing, wine touring, and more. If you enjoy hiking or biking, the KVR trail has some great trails traversing beautiful vineyards and orchards. 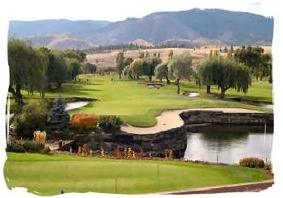 We have lived in the Okanagan Valley for more than 30years and are happy to point you in the direction whether you are looking for wine recommendations, golf, restaurants or activities. If you don't see something listed below that fits what you are looking for just ASK US! 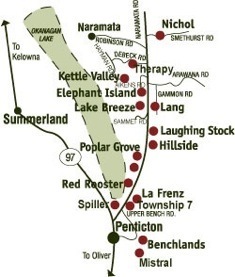 Experience wine tasting at more than twenty boutique wineries, along the Naramata Bench, all within a 10 minute drive from our B&B. A beautiful 18 hole course but beware, the fairways are narrow, there is water in play on twelve holes, and well placed bunkers protecting the greens. Fun yet challenging for even veteran golfers. 9-Hole course for those who are just playing for fun. It is an enjoyable, easy walking, flat but still challenging.